The format was similar to that of classic old time radio shows like The Mysterious Traveler and The Whistler, in that the episodes were introduced by a host (E. G. Marshall) who provided pithy wisdom and commentary throughout. Unlike the hosts of those earlier programs, Marshall is fully mortal, merely someone whose heightened insight and erudition plunge the listener into the world of the macabre (in a manner similar to that of "The Man in Black" on yet another old time radio program, Suspense). 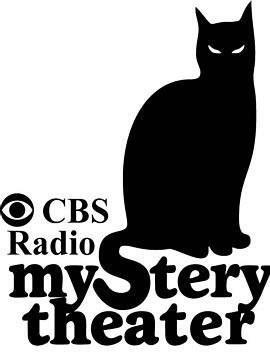 As with Himan Brown's prior Inner Sanctum Mysteries, each episode of CBS Radio Mystery Theater opened and closed with the ominous sound of a creaking crypt door, accompanied by Marshall's disturbing utterance, "Come in!... Welcome. I'm E. G. Marshall." This was followed by one of Marshall's other catchphrases, usually either "The sound of suspense" or "The fear you can hear." At the conclusion, the door would swing shut, preceded by Marshall's classic sign off, "Until next time, pleasant... dreams?" Marshall hosted the program from January 1974 until February 1982, when actress Tammy Grimes took over for the series' last season, maintaining the format. In repeats of the show broadcast in the early 2000s, Himan Brown replaced E.G. Marshall's original host segments. Ken Long maintains a site dedicated to CBSRMT with better encodes and master inventory of all the CBSRMT broadcasts plus downloads of the episodes.